The occupation authorities of Sevastopol are planning the construction of another reservoir, according to one of the supporters of the occupation power Andrei Sitnikov. He noted that the water can be supplied from the Belbek river. According to preliminary data, the cost of building the Kamyshlovsky Reservoir may amount to 24.5 billion rubles. “Just a few days ago we learned that we are preparing one of the ambitious projects, which the media have not yet reported - the construction of the Kamyshlovsky reservoir. There was information that 24.5 billion was planned in the Federal Targeted Program for its construction. This is a reservoir that will be filled from the Belbek River," Sitnikov stressed. 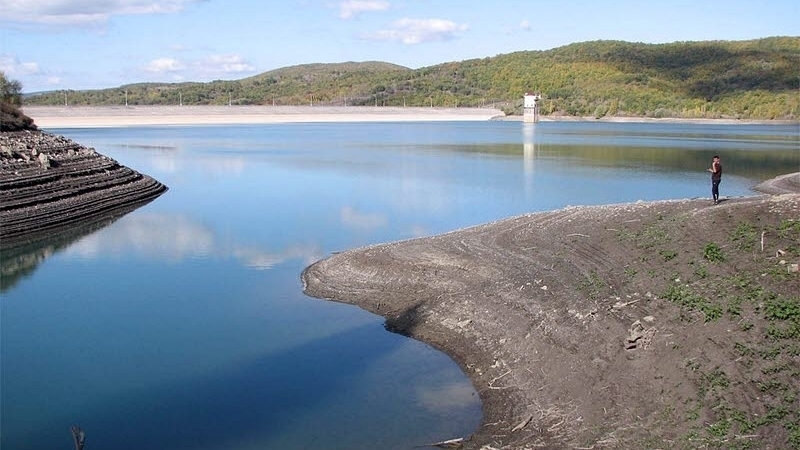 QHA reported that images of the drying Bilohirsk reservoir on the annexed peninsula appeared on the network. Once the largest reservoir of the peninsula is now partially covered with grass. Reportedly, the shallowing of the reservoir is due to the fact that its resources are also directed to supply water to the eastern regions of the annexed peninsula. So, the water discharges greatly exceed the inflow.